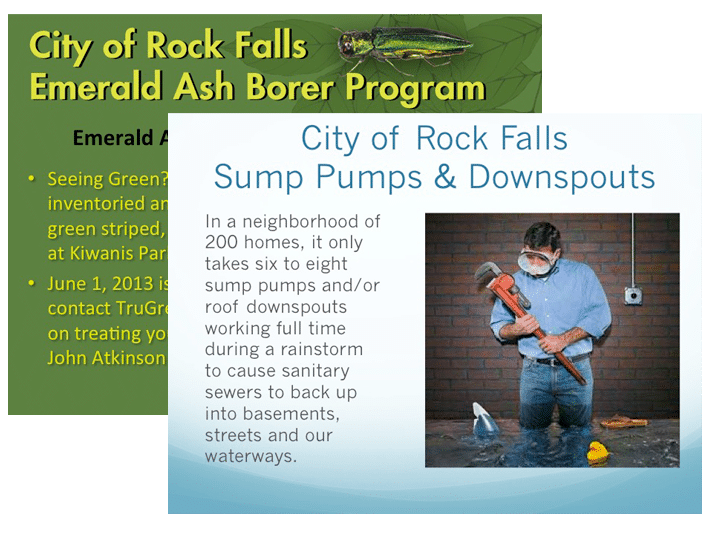 Channel 5 programming provides residents with direct, non-editorial information concerning government deliberations, services, programs and activities, and also to provide educational and public information materials sponsored by the City of Rock Falls. This cable channel is not intended as a political forum or as a mechanism for building support for a particular policy, program or issue not supported by a majority of City Council. Live coverage of selected meetings and events will be provided. This will consist of City Council meeting or and City Committee meeting as deemed necessary. Recorded meetings or announcements recorded in advance for cablecast at a later time. Note: Some events will be cablecast live and recorded for later playback. Programs produced by the City Administration related to City departments, policies or any issues related to City government. Programs related to municipal, county, state or federal government that is produced by an outside source. 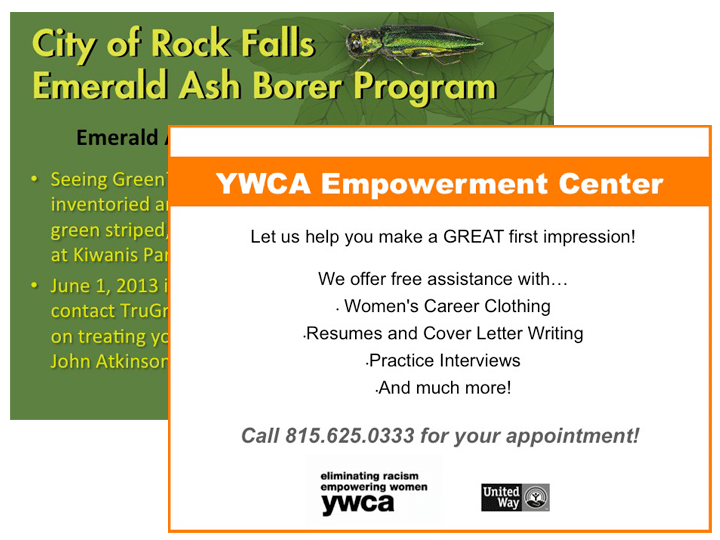 Programs produced by non-governmental Rock Falls organizations such as civic or not-for-profit organizations relating to activities, programs, events and services available to residents of Rock Falls. The City will only broadcast submissions by not-for profit organizations or other local governments. No submissions for privately sponsored benefits or private fundraising will be accepted for broadcast on the Bulletin Board. Submissions for the Bulletin Board need to be in PowerPoint form. Keep the text to a minimum for easy reading with a minimum font of 24 (Times New Roman). Graphics should be limited with no slide transitions or animation. Limit of two (2) slide maximum per event. Slides should be submitted no earlier than 4 weeks prior to the event and no later than 10 days prior.